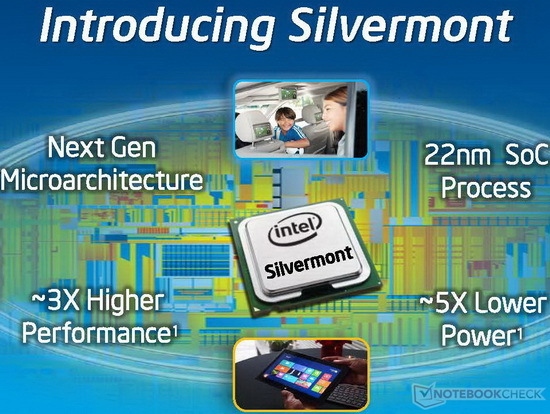 The Intel Atom Z3775 is a power efficient quad-core SoC for Windows and Android tablets. It is clocked at 1.46 - 2.39 GHz and part of the Bay Trail-T platform. Thanks to the specially optimized 22 nanometer low-power process (P1271) with tri-gate transistors, performance and energy efficiency have been significantly improved compared to its predecessor. Compared to the Z3770, the Z3775 is based on the new C0 stepping and offers a slightly increased GPU clock rate. Thanks to 4 CPU cores and a clock speed of 1.46 - 2.39 GHz, the Z3775 is significantly faster than previous Intel Atoms, e.g. the Z2760. The Z3775 even beats some of the Kabini APUs like the AMD A4-5000, as well as ARM SoCs like Tegra 4 and the Snapdragon 800. For everyday tasks such as Internet or Office the performance is adequate, but not for very complex software or modern games.